All colleges have fitness centers, and they’re generally pretty similar to each other. They mostly consist of a weight room, a few fitness rooms, and some different styles of courts. Some fitness centers, however, go above and beyond the norm and have some pretty cool features. Take a look at some of the top rated fitness centers in the country. The Ohio State University boasts the biggest fitness center in Ohio at a gigantic 569,459 square feet. It also has an Olympic-sized pool with a bubble bench and a slide, and a boulder wall. The University of Maine has a 20-person sauna, and a full sized indoor hockey rink. It’s also home to outdoor fitness equipment that can be rented for the trails and slopes adjacent to the center. The University of Pennsylvania features high-end juice bars, a golf simulator and a climbing wall in addition to the Pilates studio and 4 fitness centers. They also have an Olympic sized swimming pool. The University of North Dakota is devoted to helping students pursue a healthier lifestyle all around. They have a kitchen in their fitness center where students can learn how to cook healthy, and do it on location after a workout. There are also meditation rooms available to all students. The University of Illinois boasts climbing walls, aquatic facilities, and personal training meeting rooms for those students who are serious about getting in shape. There is also a sauna and a café so you can get a healthy treat after your workout. The University of Arizona earned a Leadership in Energy and Environmental Design Platinum rating, which is the highest rating available. It is also home to an indoor sand volleyball court. The fitness center also provides opportunities for outdoor adventures such as canoeing, caving, and backpacking, along with wilderness yoga retreats. Colorado State University has an outdoor rock wall, and an indoor rock wall that rises out of one of the indoor pools that is complete with a waterfall and a grotto wired with LED lights. There is also a martial arts space, special needs spaces, and consultation rooms for physical therapists. 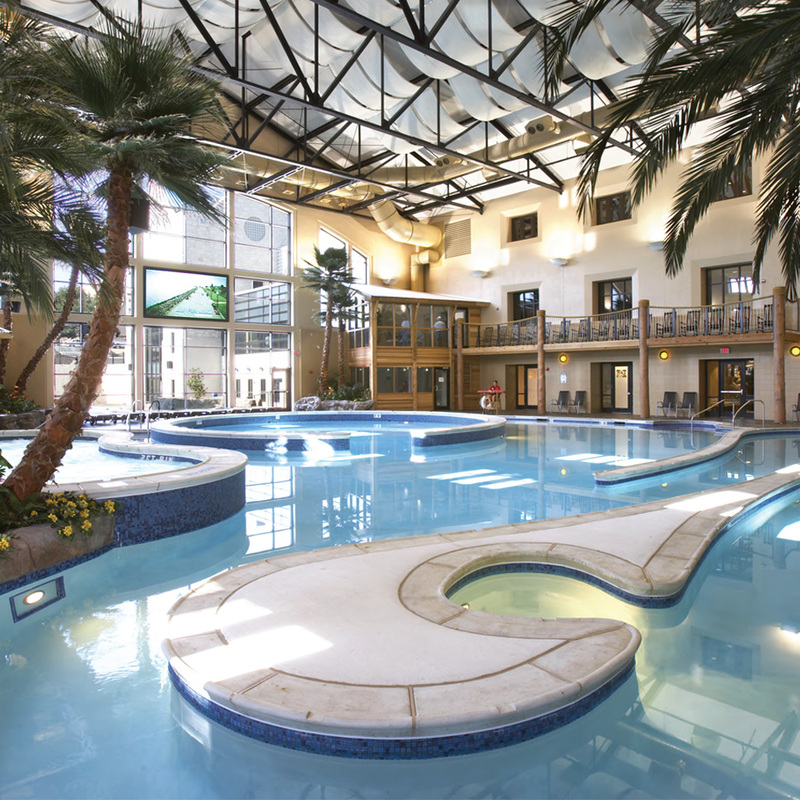 The University of Missouri’s biggest highlight in their fitness center is the “indoor beach” which features a waterfall, lazy river, and whirlpool. The 35.5-foot climbing wall offers five different courses to peak your interest, and the full service spa is a great way to relax after your workout. The University of Iowa is home to group instruction rooms, classrooms, and personal training rooms. There is also a 25 person spa and the pool features a zero-depth entry, underwater benches, vortex, and current channel. At University of Texas, Austin, the fitness center is composed of 8 different buildings both on and off campus. The most popular, Gregory Gym, has five pools including a tanning pool. There is also an archery studio, dance classes, and personal training sessions available. The University of Cincinnati has a huge fitness center complete with an impressive rock-climbing wall and aquatics center. There is also a juice bar and a convenience store located in the facility for refreshing yourself after a workout on one of the 111 cardio machines available. One of the most unique features of Auburn University’s fitness center is a golf simulator. It is also home to a black-light disco-ball cycling room. The 1/3-mile indoor track winds through the facility and is elevated in different areas so that joggers get a nice change of pace. There are many more awesome fitness centers across the country, but these are definitely some of the best ones. So, did your university make the list? Hannah Schwinne is a freshman at the University of Toledo majoring in broadcasting. In high school, she was an all star cheerleader. She likes books, music and babysitting. You can follow her on Twitter @hannah_schwinne!